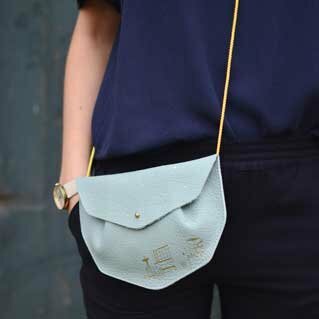 Nice bag to take with you, with a gold cord and now a silkscreen on the outside of gold. Nice to make the flash with that nice Keecie bag. This bag is only available in three night blue tones and a limited edition, so if you want this unique Keecie bag in your collection, you have to be quick.